Live Electrical - Electrician based in Bracknell, Berkshire. Live Electrical Services is an NICEIC registered electrical contractor operating in Berkshire and London. We provide a comprehensive range of domestic and commercial electrical services. We are committed to delivering high quality workmanship and outstanding customer service. 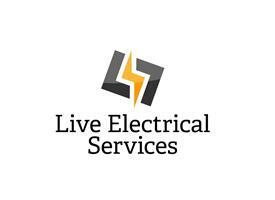 Please rest assured that all work undertaken by Live Electrical Services is carried out to the highest of standards. We regularly attend trade shows, industry events and seminars to ensure that we are continually up to date with new regulations, technology and products to ensure that we offer the best value, energy efficient and current products and services to our customers. We ensure to adhere to all safety standards and aim to work to the highest level of cleanliness. We pride ourselves on the positive feedback and recommendations that we receive from our customers and we never leave a job until our customers are 100% satisfied. We are more than happy to provide references and photo evidence of the standard that our work is carried out to. Please feel free to contact us for a free no obligation quotation. We are always available to give you helpful, friendly and professional advice and look forward to hearing from you to discuss all of your electrical requirements.